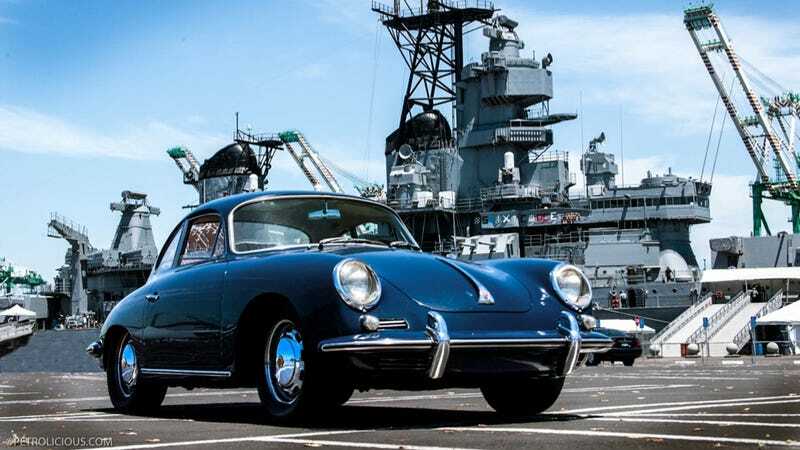 Remember Guy Newmark's daily-driver 1964 Porsche 356C with close to 1 million miles? Petrolicious did a feature on it in June, which was highlighted by us on an installment of Must Read. We have a very sad and infuriating update to that story — the 356 has been stolen. Newmark announced over at Rennlist yesterday evening that the car, his daily driver for more than 40 years, had been taken from his garage in San Pedro, California on Friday night. As you can see in the photos, it's Bali Blue in color with bronze hubcap badges. It's a gorgeous car that's hard to miss. Newmark's post didn't offer many more details, but he did post his phone number in the thread, so if anyone has any information about the car's whereabouts they should let him and the local police know. According to the Porsche 356 Registry, the VIN is 220286 and the engine number is 71566. Newmark said the plate number is WPN II. Keep your eyes out, Jalops, and spread the word. We have a pretty good track record at recovering stolen rear-engine air cooled cars, so let's see if we can help this gem get back to its rightful owner.